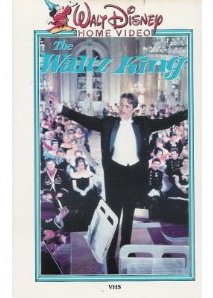 If you want to dazzle your family with the magic of Vienna, a wonderful family-movie-night choice is a 1963 film from Walt Disney studios called The Waltz King about the life and times of Johann Strauss , Jr., the Austrian composer. Filmed on location in Vienna, the scenes of the city’s baroque buildings, imperial palaces, and architectural masterpieces are majestic and embracing. Besides the beautiful scenery, the story told in this film is particularly important to understanding the culture of Vienna. Vienna is the Mecca of European music, and Mozart, Beethoven, Brahms, and others all composed and performed there. Johann Strauss, Jr., is also one of these greats, and was known as “The Waltz King” during his lifetime in Vienna. Despite his overbearing father’s attempts to dash his musical career, Strauss succeeded in composing over 500 waltzes, polkas, and operettas. He married a young opera singer who fervently supported his music and they ruled the Viennese dance world with charm and elegance. Your family will truly enjoy the scenery, the story, and the music of Johann Strauss, Jr., in this biopic film. It is only available in VHS, however, so you'll have to dust off or borrow an old player. Statue of Johann Strauss in Vienna, Austria. This is an interesting idea for a blog. I am now following!